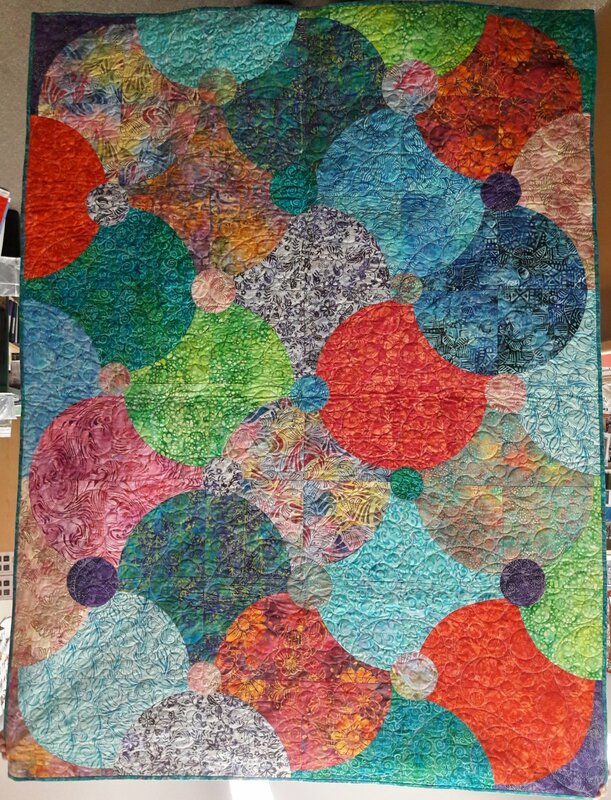 We will be using Lousia Smith's technique and templates for this fun design, curved piecing project. You will be making your won fabric out of many different blended fabrics to form a strata, or the New Plus is that you can use interesting fabric, or a combination of strata and interesting fabric. Machine applique of circles will also be included in instruction.